According to the Waco Trib, President John Lilley was fired today by the Baylor University Board of Regents. President Lilley was a good friend to Baptist causes like the New Baptist Covenant. This decision from the Regents comes just two weeks after Provost Randall O'Brien announced that he was leaving Baylor to become the President of Carson-Newman College in Jefferson City, Tennessee. Follow the WacoTrib for more details. 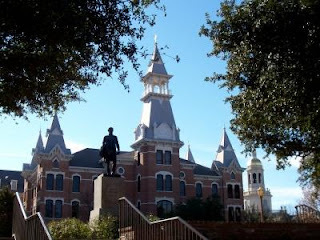 GRAPEVINE, Texas (ABP) -- The Baylor University board of regents has fired President John Lilley. Lilley’s removal “represents the regents’ acknowledgement of a need for unifying leadership as Baylor strives to achieve its goals under Baylor 2012,” the statement cited Batson as saying, referring to the Texas Baptist school's long-range plan. The statement did not cite specific reasons for removing Lilley, who has been president since January 2006. Two and a half years ago I was invited unanimously by the board of regents to come to Baylor. I did not come to Baylor to advance my career. Gerrie (his wife) and I were reluctant but finally were persuaded to come because of the unanimous vote and the promised prayers of the regents...We felt that we could help to heal the wounded hearts left in the wake of the conflict that preceded us. Despite the board’s unanimous vote, it became clear immediately that the Baylor board of regents reflected some of the deepest divisions in the Baylor family...I am proud of the work my colleagues and I have done to bring the Baylor family together and to help the university achieve the ambitious goals set forth in our mission and vision 2012, documented in our annual report just presented to the regents...I deeply regret the action of the board, and I do not believe that it reflects the best interests of Baylor University. This is sad news for Baylor. I am afraid that some rough times lie ahead. Never was a fan of Lilley, thinking that Presbyterian elders ought not to preside over founded-as-Baptist universities. Wasn't upset faculty a major reason for Sloan's ouster also? I wonder if it's the same faculty upset with Lilley, or a different faculty faction. Help me out with some info, BDW. It's different faculty, namely the ones who were initially denied tenure by Lilley, but who then got tenure after a firestorm. They are the new, young, "faith-and-learning" ones that Sloan brought in. What a sad day for Baylor, but I can't say I'm surprised. The regents and alumni have never resolved the fight that began ten years ago, and no individual university president can fix that mess. Baylor will have a hard time finding a quality replacement. No one with any interest in career security would take on this disaster - note how many of Baylor's most esteemed administrators have jumped ship for Mercer and elsewhere. I knew that Sloan had deeply wounded Baylor before he left, but I didn't know it was this bad. What is it with Baptists and universities? Either they retreat into fundamentalist obscurity or, to avoid said fate, they cut themselves off from their Baptist foundings and eventually their heritage(e.g., Brown, Colby, Colgate, Rochester, Denison, U of Chicago, etc.). This is why I worry about the future of Baylor, Mercer, Wake Forest, Furman, Carson-Newman, Stetson, etc. They cut themselves off from Baptist boards to avoid fundamentalist takeover--hooray. But can they avoid then the fate of Brown et al. ? Doesn't your question beg the answer that, in order to remain true to roots, institutions are best served by fundamentalism? Take Liberty U. for example. It's hardly in a state of obscurity or retreat. How drastically different is the makeup of this Board of Regents from the one which fired Sloan?